Blackfish be damned. After a pretty dismal year in 2014, 2015 looks to be turning around, at least a little bit, for the marine life park. SeaWorld Orlando has fought negative publicity from the film Blackfish, falling stocks and public relations bungles with things like “#AskSeaWorld” on Twitter. 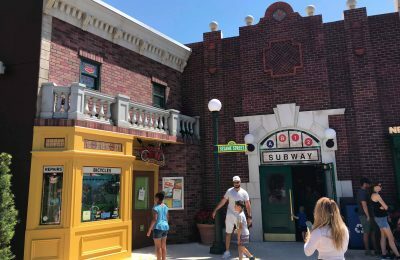 Still, the first quarter shows the park improving quite a bit, and promises to be even higher as new CEO, Joel Manby, fully immerses himself into the new position. Manby was previously the CEO of Dollywood parent company, Herschend Family Entertainment, and has seen that chain of parks and attractions thrive. The company reported a loss of $43.6 million, or 51 cents per diluted share, which is actually up from the analysts projections of 59 cents per share loss. SeaWorld generated revenue of $214.6 million or 1% more than the same quarter last year. Year-over-year attendance spiked 5.6%, which is a great sign for the park. However, it starts getting murky again with spending, as guests spent 4.2% less than the same quarter last year. That comes from the huge discounted tickets, and increased visits from passholders. While SeaWorld is extremely good to their passholders, offering special discounts and merchandise, the passholders don’t always share the love, and tend to spend less on things like food and gifts. The parks also seem to be balancing out a bit with their “conservation” and “truth” messages, and going more towards the line of putting the “fun” back into the SeaWorld name. The new marketing campaign got off to a shaky start earlier this year when the company opened the gates for a session of #AskSeaWorld. As expected, the hashtag was flooded with negative responses, and anti-SeaWorld activists. The account then fired back with childish remarks, and images. Of late, the company has had an increased advertising presence in TV, radio and online, all of which have been putting the emphasis on the fun things at SeaWorld, such as the all new Sea Lion High, which opened at SeaWorld Orlando, and will be opening at SeaWorld San Antonio. 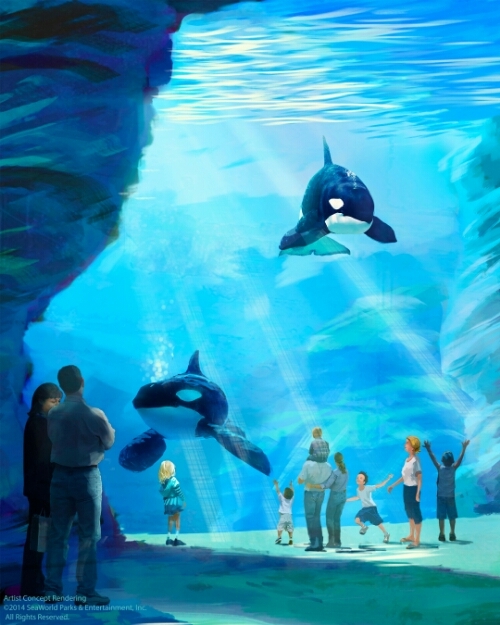 The other huge focus was on the new projects that SeaWorld has in store, including the massive expansion of the Orca tanks, which were announced last year. While the expansion is still a go for San Diego, Manby has indicated that the expansions for San Antonio and Orlando could be delayed. Other projects coming online look to balance out high end attractions, with high quality animal experiences. Universal, and Disney have made huge investments in their parks, and will be opening up major attractions in the next few years that threaten to leave SeaWorld behind. While the park still remains committed to bringing unique and meaningful animal experiences to the parks, they are also looking at balancing out line up with more attractions that appeal to larger communities. SeaWorld Orlando has already announced a massive new coaster, which will be over 200 feet tall, and will be the fastest and longest in the state. The details of the coaster have not been announced yet, but it is expected to be announced before the end of May. SeaWorld San Antonio will see a very unique dolphin experience in 2016, but rumors for 2017 are already churning with the possibility of a new coaster for that park as well. SeaWorld has been very fortunate to also have a built in group of “cheerleaders” with both their own fans, and the blogger community. While there has been some controversy, sites like IloveSeaWorld.com, Awesome Ocean, most importantly Mice Chat (who cracked open several controversies about Blackfish) , and yes even our own BehindTheThrills.com, have been instrumental in not only keeping a cheering section going for the park, but speaking up when everyone else seemed against it. Going forward, that’s something that SeaWorld needs to remember, and keep embracing. While major news sites, and television report the news and major announcements, they tend to only talk about the parks when there’s something major to talk about. It’s publications like blogs, that fight against the activists (many times receiving death threats, and rarely receiving pay), and even being the deciding factor for many families in a vacation decision. In the next few months, and even years, SeaWorld will still need a cheering section, as the company will surely face more opposition as SeaWorld turns the company around. 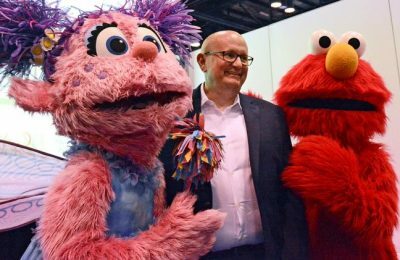 If SeaWorld continues to level out the balance between their education, and conservation messages and world class theme park attractions, and taking advantage of free publicity any chance they can, the uptick in attendance could become a growing trend. The chain could finally shake the negativity that’s been plaguing them for the past two years, and get back on top as one the top theme park destinations in the world. Stay tuned for more from SeaWorld, and be sure to get social with us on Facebook and follow along with us on http://twitter.com/behindthrills for the latest updates!